Gone are the days when a set of Lincoln Logs or Tinkertoys would suffice to delight a child on Christmas morning. In a time when many children have mastered the use of their parents’ iPad by age two, electronic presents are a great way to stimulate and entice your child/grandchild/niece/nephew. Plus, since tech skills are mandatory for nearly every job in every field these days, why not give a gift that will help to develop these skills while providing hours of endless entertainment? Let’s dig into a few of the best digital toys and gadgets for any of the children in your life, from toddlers still honing their fine motor skills to teenagers gearing up for college. This is an incredibly crucial period of child development, which means this is also a great time to encourage children to interact with toys that allow them to learn while they play. One toy that’s particularly fantastic for this purpose is the Fisher Price Code-a-Pillar. This electronic plastic caterpillar is made up of nine segments that easily connect to tell the toy which way or how to move: forward, left, right, wiggle, dance, etc. It also comes with three targets that children can set up throughout the room however they like and then rearrange the caterpillar’s segments to help reach them. This toy is a very clever way to help young children learn the rudimentary principles of coding, which is increasingly becoming a vital skill to possess. The VTech Touch and Learn Activity Desk is another toy that spurs early education. This interactive desk is decked out with an LED display that illustrates how to construct letters, shapes and numbers. The desktop also features a play phone and a “music jammer” and can be converted into an easel and chalkboard to motivate further creativity. With more than 200 touch and learn spots, a number of expansion packs and the ability to track your child’s progress, this desk is one well-rounded toy. The Play-Doh Touch Shape to Life Studio and the CogniToys Dino are two toys that also function as early introductions to virtual reality and artificial intelligence, respectively. Using the Touch Shape to Life Studio, children can turn their Play-Doh creations into virtual imaginings by using scanning them into the Play-Doh Touch app. Their unconscious lumps of Play-Doh will turn into animations with personalities and world of their own that can be saved to the app to be played with anytime. As for the Dino, it uses speech recognition technology to listen and remember to the information its owner relays to it, which is then used to inform future conversations. In addition, this smart toy can tell stories and help children improve their math, spelling, and geography skills, just to name a few. As children begin school and their physical abilities become more finely tuned, they start to turn from more primitive playthings to more complex toys that better suit their improved skill levels. Snap Circuits 300 Experiments (which is technically aimed toward ages eight and up) is definitely more sophisticated than a plastic caterpillar. With over 60 snap-together electronic components that can be assembled into over 300 circuit projects, kids can play games and learn how electronics work as they build radios, doorbells, burglar alarms and much more. And the best part — for parents, at least — is that no tools are required. It wouldn’t be a 2018 tech gift guide without mentioning at least one robot, and the Sphero Ollie Robot is one that’s caught our attention this year. This compact, app-enabled bot is simplistic in design, but it can race at speeds of up to 14 miles per hour, overcoming obstacles and following courses drawn by your child in its accompanying app. The electronically-propelled computer with onboard intelligence can connect to your device from up to 100 feet away, and kids will love customizing Ollie with different hubcaps and tires. Remember the hours you spent peering through a View-Master as a child? This perennial favorite has been revamped with 21st century-appropriate tech in the Mattel View-Master Virtual Reality Starter Pack. This starter pack includes Space, Destinations and National Geographic: Wildlife, but other Experience Packs are available separately. To use it, simply download one of the free View-Master apps, slip your smartphone into the View-Master and put the Preview Reel in front of you. Once the 3-D AR menu pops up, click which world you’d like to explore. It’s a bit more immersive than wearing out your index finger clicking through a reel of still photos. For budding designers and/or gamers, Bloxels (available in both original and Star Wars) provides a creative and constructive outlet. The premise of Bloxels is that kids can build their own video games by using the 13×13 game board and capturing it in the Bloxels Builder app on your mobile device. Middle school is a complicated time for pre-teens as well as their parents. Kids are beginning to nail down their interests and find hobbies and extracurricular activities they enjoy, all of which have the potential to influence their future career choices. For kids who display an interest in tech, the Makeblock mBot Smart Robot Kit would be an exciting present to find beneath the tree on Christmas morning. This robot may look complicated, but it can be built in just 15 minutes, after which your child can use the remote or a smartphone to guide it wherever he or she chooses by way of drag-and-drop programming blocks. Another one of our favorite entry-level robots this year is the Anki Cozmo Robot. This little guy is full of endless possibilities because its abilities become more sophisticated every time its app is updated. Its unique Code Lab gives your child the reins over this adorable bot that’s slightly reminiscent of Disney’s WALL-E. It also responds to its environment, recognizes humans and pets and even allows your child to see from its perspective using its Explorer Mode. Of course there’s also something for burgeoning Star Wars fans. The littlebits Star Wars Droid Inventor Kit gives kids the chance to work on their coding skills while giving them access to nearly 25 missions in the accompanying app. Using littleBits electronic blocks, your son or daughter can create their very own Droid, which can then be brought to life and customized with new skills. 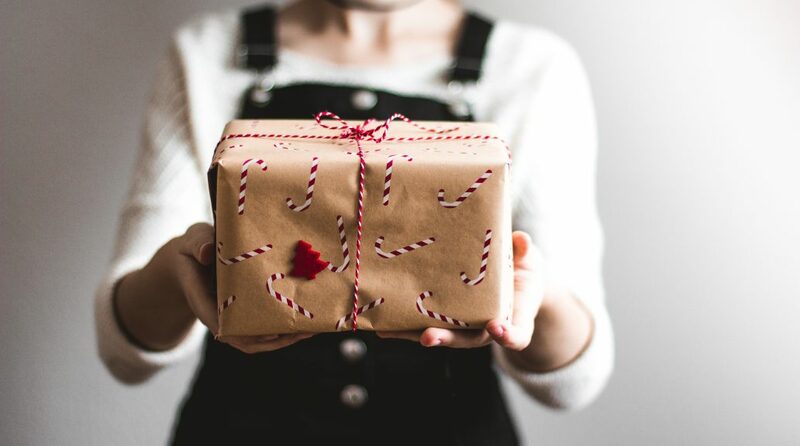 As kids begin junior high and high school and start filling out college applications, it can be tricky to know what to buy them for Christmas since they’re not as easily delighted as younger children. Thankfully, there are a few presents that are sure to make you the coolest parent/grandparent/aunt/uncle around to any teen or preteen with an interest in tech. First up is the Flashforge Finder 3D printer — and before we scare you away, don’t worry; this is one of the most affordable 3D printers on the market right now. This particular printer is perfect for kids because it comes fully assembled and ready to print, it’s easy to use and your child won’t get hurt using it because all the heated elements are guarded from touch. Also, the printing material is made up of non-toxic PLA, and as an extra perk for parents, the noise level is low. You know we had to throw one last robot on here, and the Meccano Meccanoid G15 KS Personal Robot is that robot. This guy stands at nearly 4 feet in height and comes with 1,223 parts, 8 smart motors and 2 regular motors to assemble. Once your child has built the bot, which is powered by a rechargeable battery pack, it will speak using more than 1000 pre-programmed phrases, recognize voices, play games and tell jokes. It can even record sounds and study and repeat movements. Finally, here’s one present you may have heard of this year due to the fact that it’s been a top-seller since its release on October 26. Red Dead Redemption 2 is rated-M, so this gift is better suited for college students and other young adults, but you might just enjoy playing with them. This game takes place in the Wild West, but it’s no ordinary video game. The painstaking detail and graphics make this a truly immersive experience. Other non-player characters are fully interactive, but it’s the smallest details that make this game unique. Characters get dirty and need to bathe, they lose or gain weight depending on their diet, they can get haircuts and their weapons require upkeep to remain functional. Video games have certainly come a long way since the days of Pong and Pac-Man. Many present-day scientists and engineers cite their childhood as the inspiration for their careers. The gifts you give children today could very well spark their imaginations and lead them toward figuring out what they’d like to become when they grow up. If you don’t want to give a physical gift, tickets to a technology and/or science museum are always great for encouraging young minds. Whatever you choose, we hope you all have safe and happy holidays!